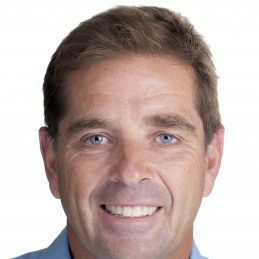 Stuart Donaldson, founder and owner of Banyan Co, is an experienced banking and finance executive, educator, business coach and financial advocate for owners of small to medium enterprises. He established the Business Advisory division of a major bank and was personally responsible for bringing the best available financial management tools to SME’s, including the highly acclaimed Beyond Survival financial education series. As a facilitator Stuart has conducted hundreds of seminars, workshops, and keynote addresses across Australia, New Zealand, The Pacific Region and Singapore. He has worked alongside scores of business owners, franchise groups, industry associations and professionals and has earned an enviable reputation. This is supported by consistently receiving outstanding feedback scores. Stuart is driven by his unique ability to transform his audiences’ view of financial concepts from confusing and complex to simple and intuitive. As a frequent surfer Stuart appreciates that wipe outs can occur in business too. With structure and discipline these can be avoided and businesses can thrive. Stuart is a though leader in his field who through his easy interaction with audiences inspires teams to out perform the competition. To see an example of Stuart in action please click here to go to our YouTube channel.